I’m connected to the dn42 experimental network. If you want to peer with me, here are the details. Hit me up on the #dn42 IRC channel or through one of the other methods advertised on my website. I’m running a looking glass here | internal DN42 link. 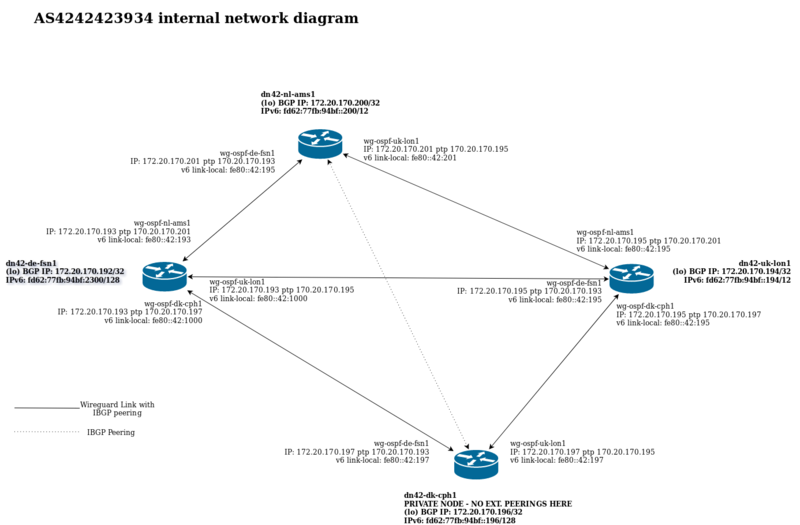 Below is a network diagram over my core DN42 network (click to view fullsize). All links are done using Wireguard.